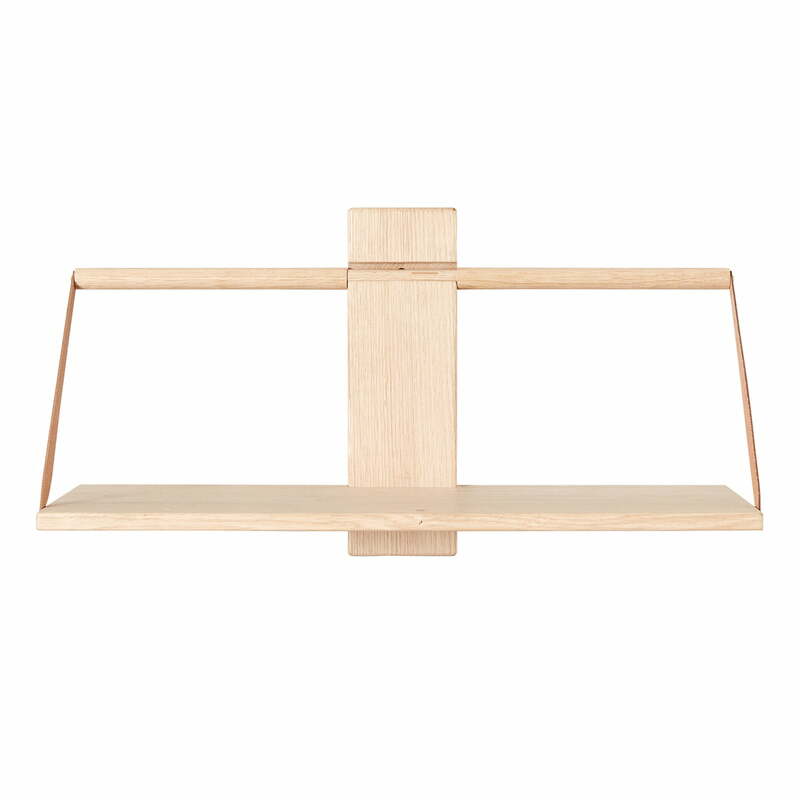 The Wood Wall hanging shelf from Andersen Furniture stylishly presents decorative objects and useful everyday objects. 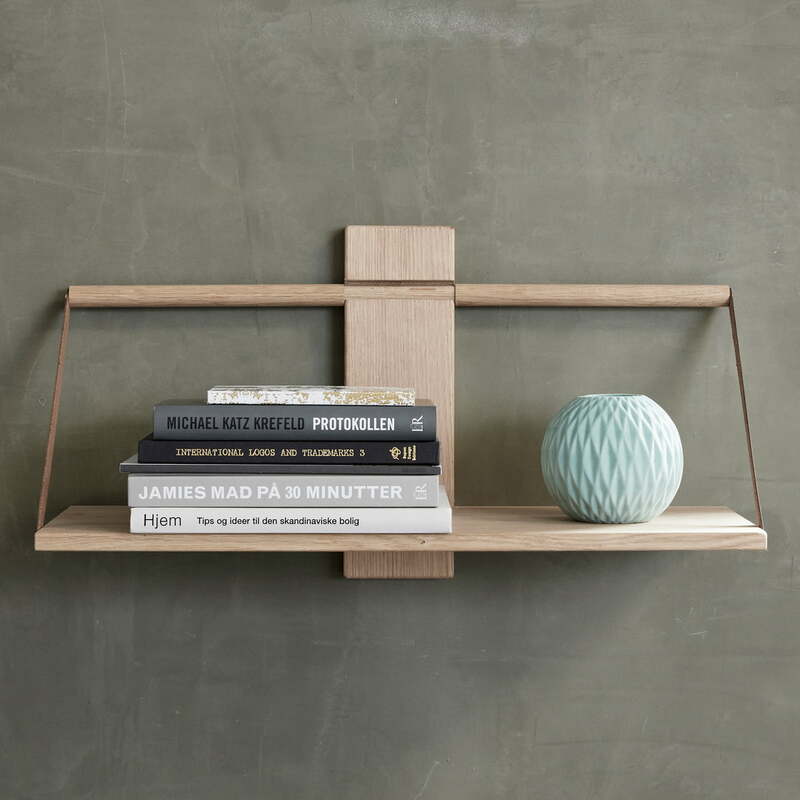 Made of oak wood, the shelf has a natural yet modern look that blends into any environment. A special highlight is provided by the side leather straps, which underline the natural appearance. The shelf is equipped with a narrow, vertical wall element. If several shelves are arranged on top of each other on the wall, the wall elements combine to form a harmonious unit. Thanks to its timeless design, the Wood Wall hanging shelf can be placed in any ambience and can accommodate cosmetics, books or crockery in the bathroom, living room or kitchen, for example. 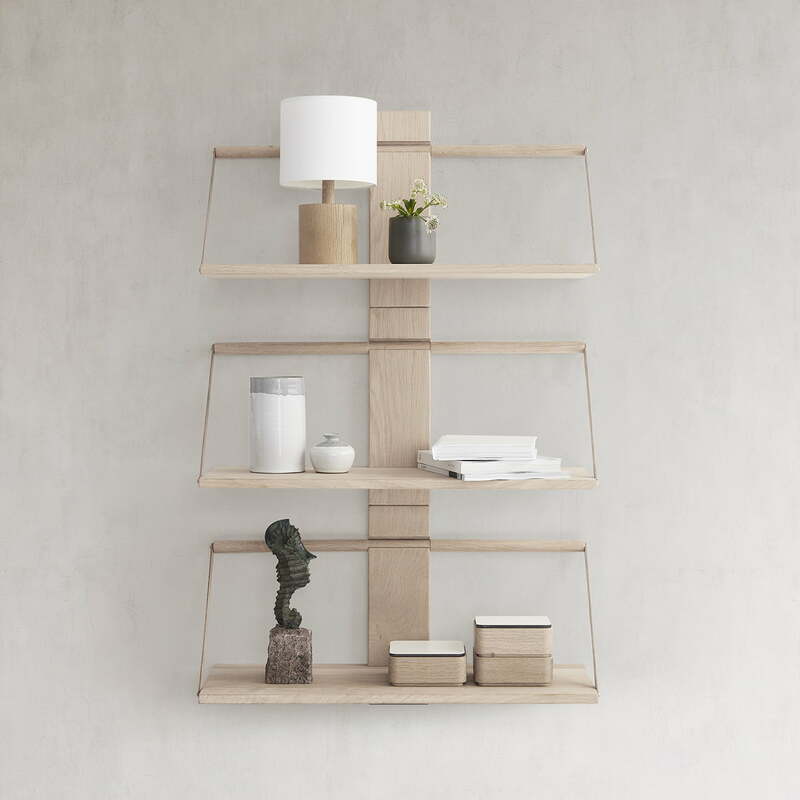 The Wood Wall hanging shelf in the dimensions 30 x 18 cm with a height of 24 cm by Andersen Furniture made of oak wood with leather details in the product single view. 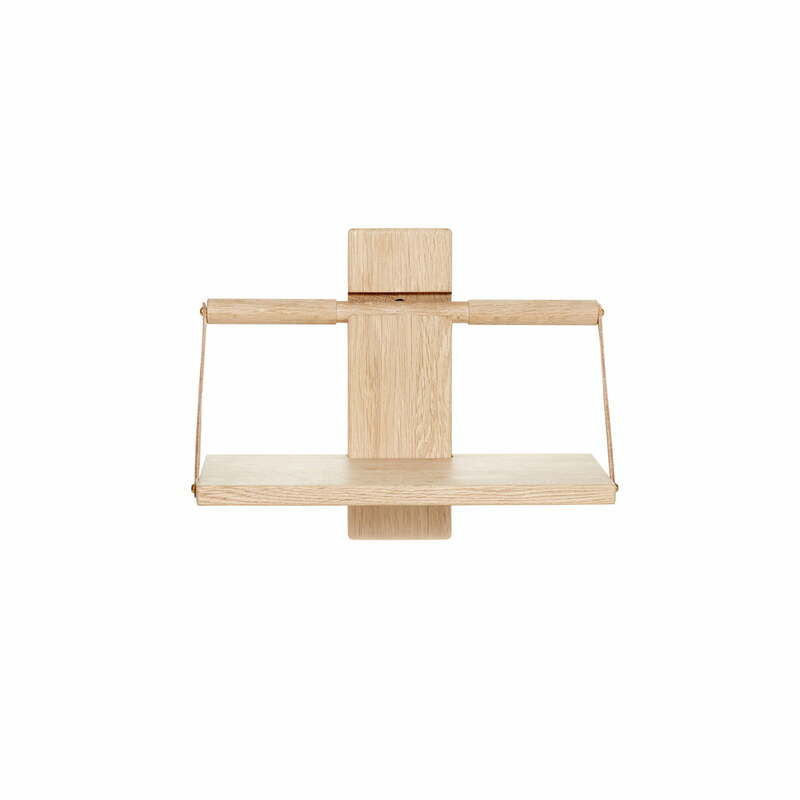 The Andersen Furniture - Wood Wall hanging shelf, oak in single view. A special highlight is provided by the side leather straps, which underline the natural appearance. The Andersen Furniture - Wood Wall hanging shelf in the ambience view. 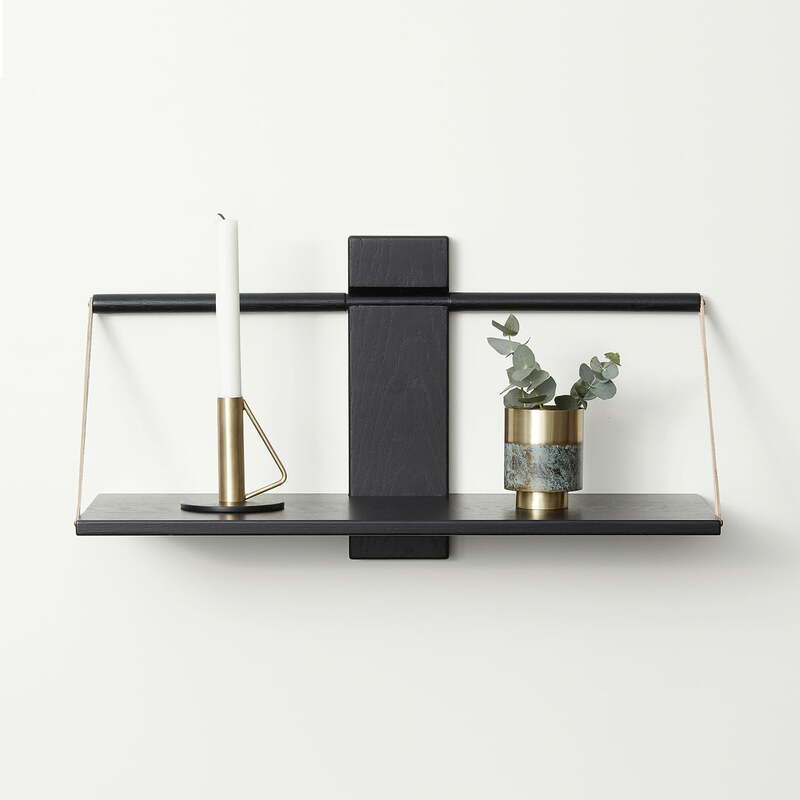 The Wood Wall hanging shelf from Andersen Furniture stylishly presents decorative objects and useful everyday objects. The Andersen Furniture - Wood Wall hanging shelf in the ambience view. 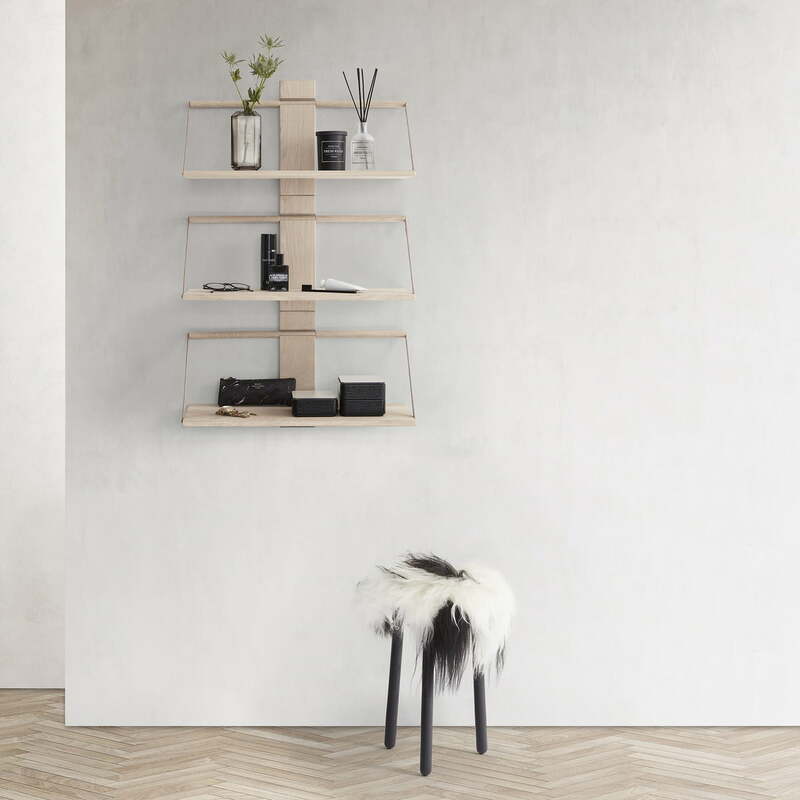 Made of oak wood, the shelving has a natural yet modern look that blends into any environment. The Andersen Furniture - Wood Wall hanging shelf in the ambience view. The rule is provided with a narrow, vertical wall element. If several shelves are arranged on top of each other on the wall, the wall elements combine to form a harmonious unit. The Andersen Furniture - Wood Wall hanging shelf in the ambience view. 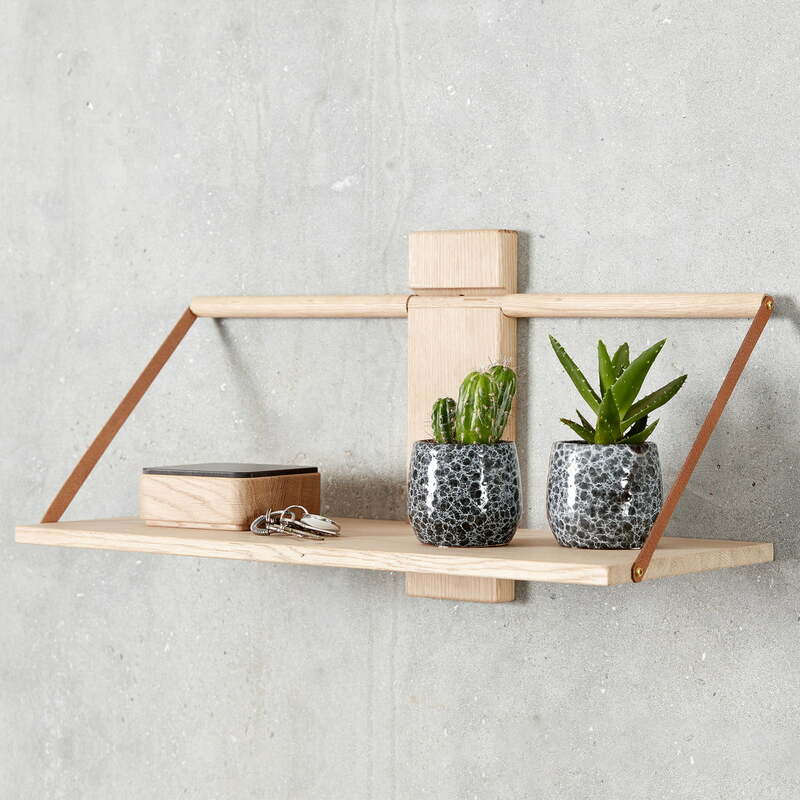 Thanks to its timeless design, the Wood Wall hanging shelf can be placed in any ambience and can accommodate cosmetics, books or crockery in the bathroom, living room or kitchen, for example. The Wood Wall hanging shelf from Andersen Furniture in the ambience view. 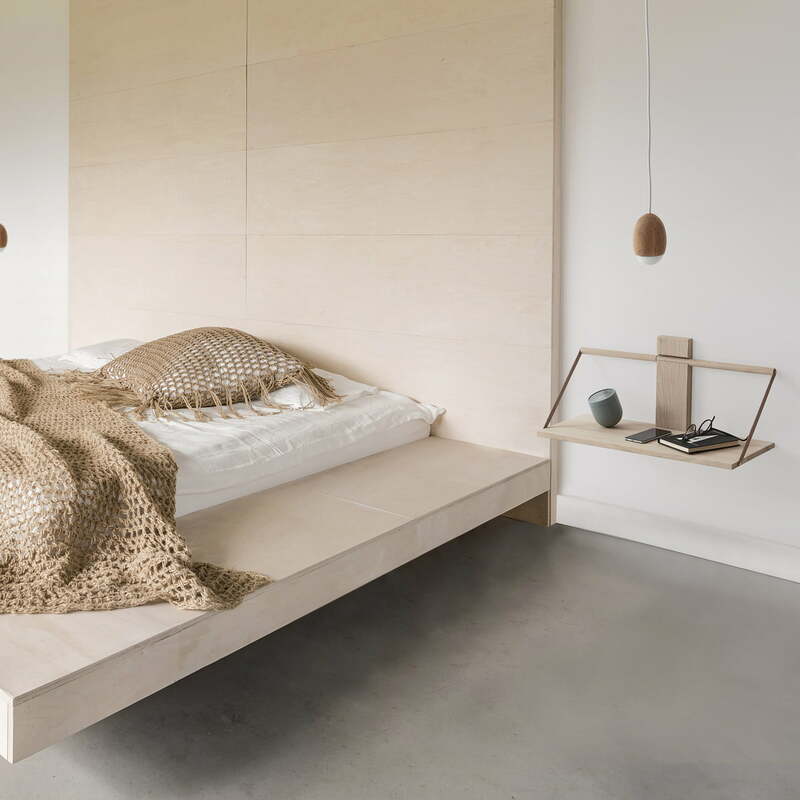 As a hanging bedside table, the shelf becomes an absolute eye-catcher in every bedroom.